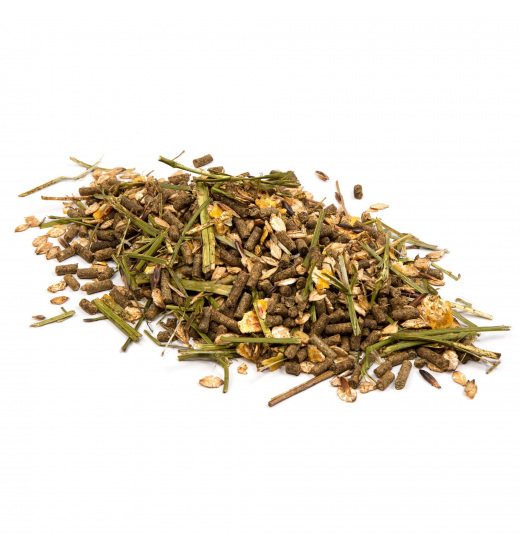 Horse Fiber Mix is a feed supplement to the daily diet of the horse with fiber, vitamins and minerals. 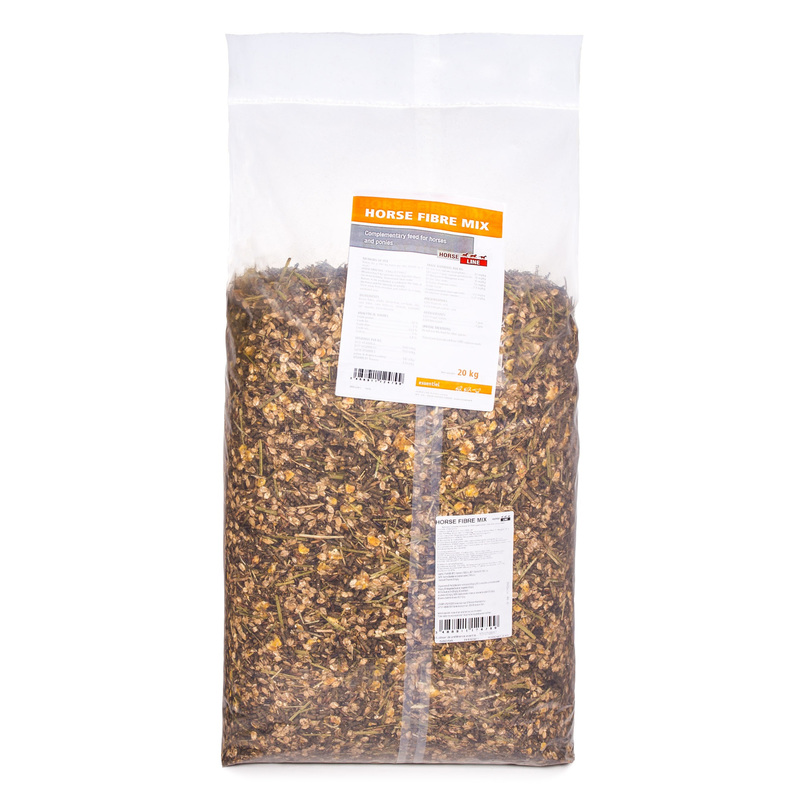 HORSE FIBRE MIX : 3,9 kg (8,7 liters). 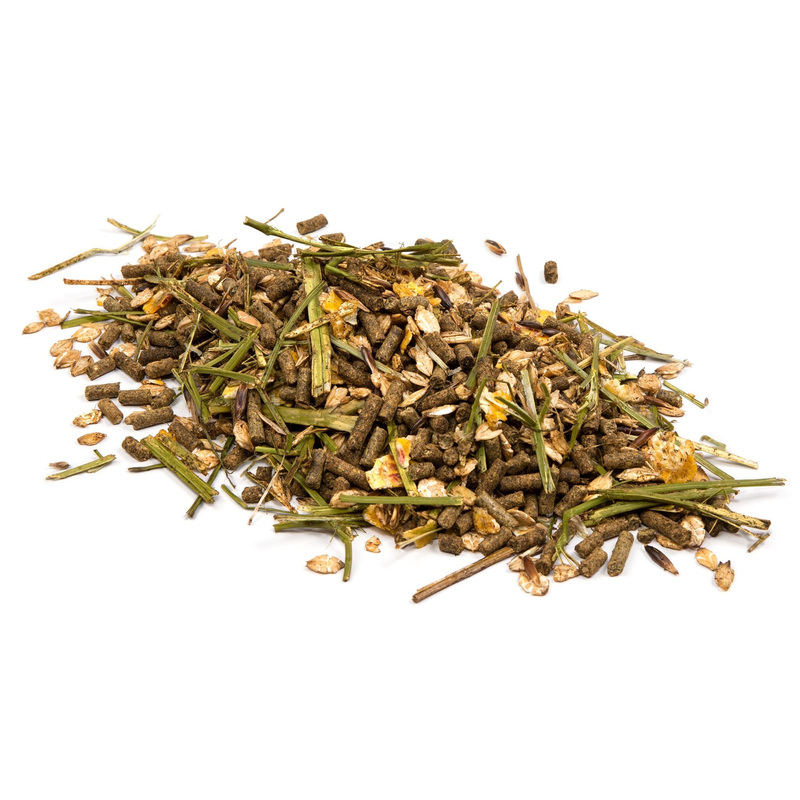 Meadow hay:5 kg (provides long digestible fibers). On straw bedding. Unrestricted clean water. Rations to be modulated according to the state of the horse and the intensity of activity. Store away from moisture and rodents in a clean, ventilated area. Barley flakes, alfalfa, wheat bran, oat husks, oats, corn flakes, cane molasses, minerals, vegetable oil, vitamins, trace-elements.